Choose From Over 100 Styles and Sizes! 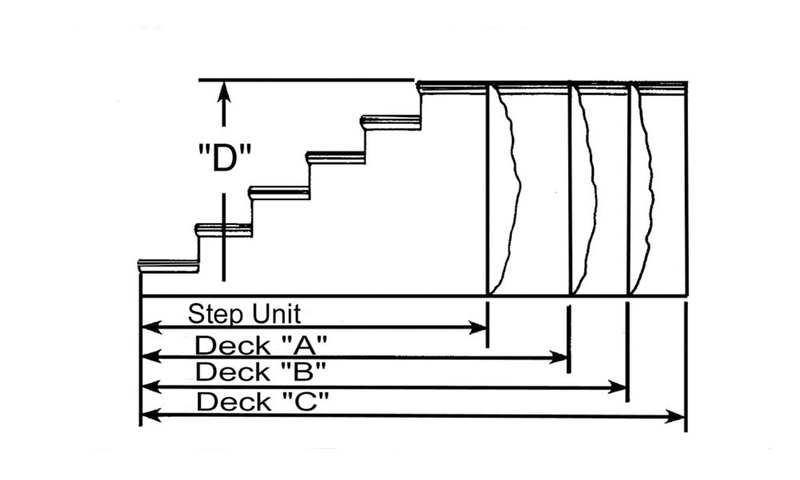 Unit Steps meet local building codes. VA and FHA approved too. 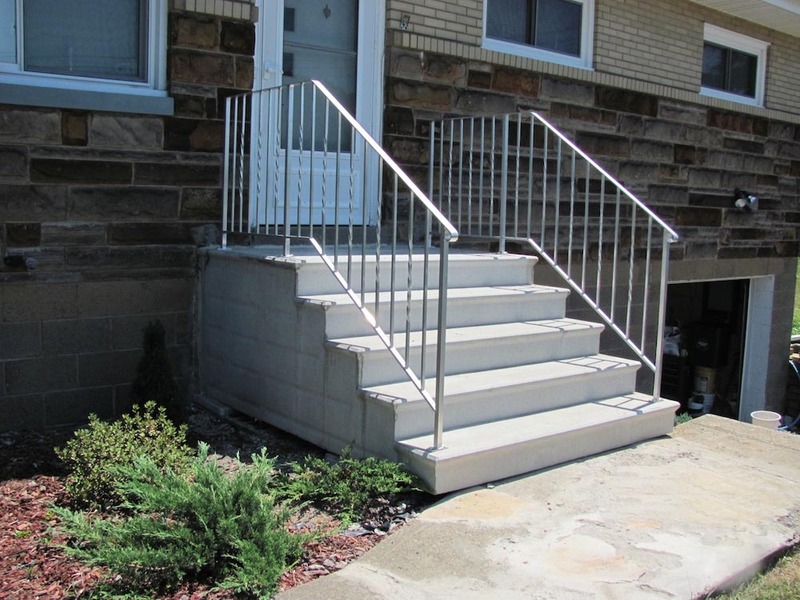 Securely anchored ornamental railings are available in a wide variety of styles. 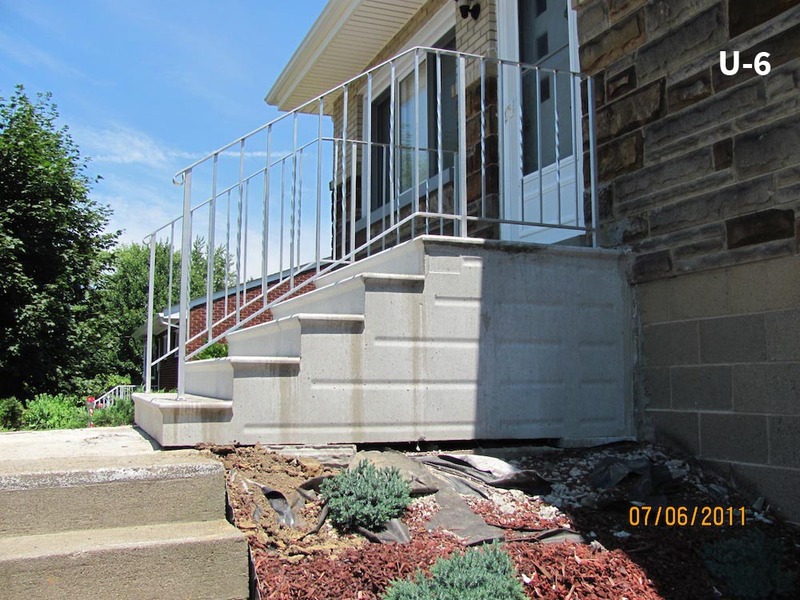 Styles of Unit Steps include Two Riser Step, Four Riser Step with 30-inch deep platform, Six Riser Step with 60-inch deep platform with back for side settigns and steps into hill. 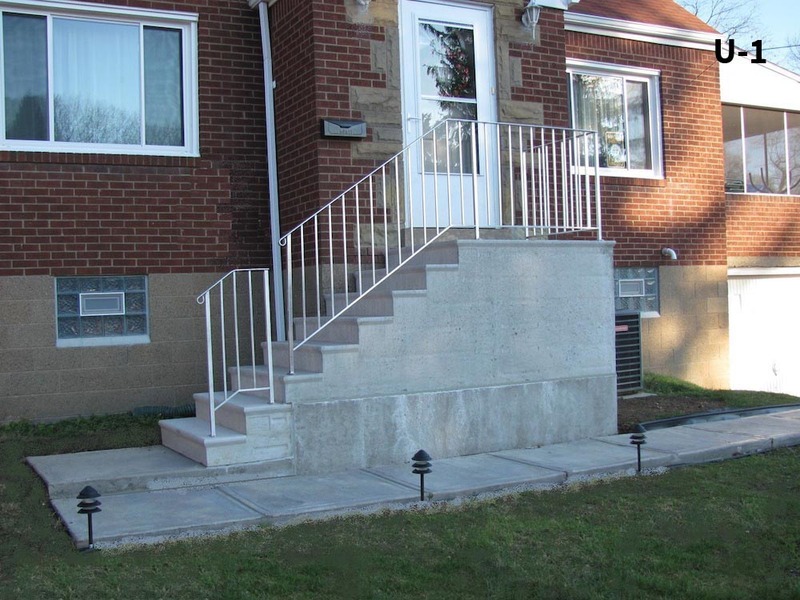 Our Concrete Unit Steps are manufactured to exact measurements and are properly cured to a smooth, pearl-like finish; expertly cast with high-strength concrete. 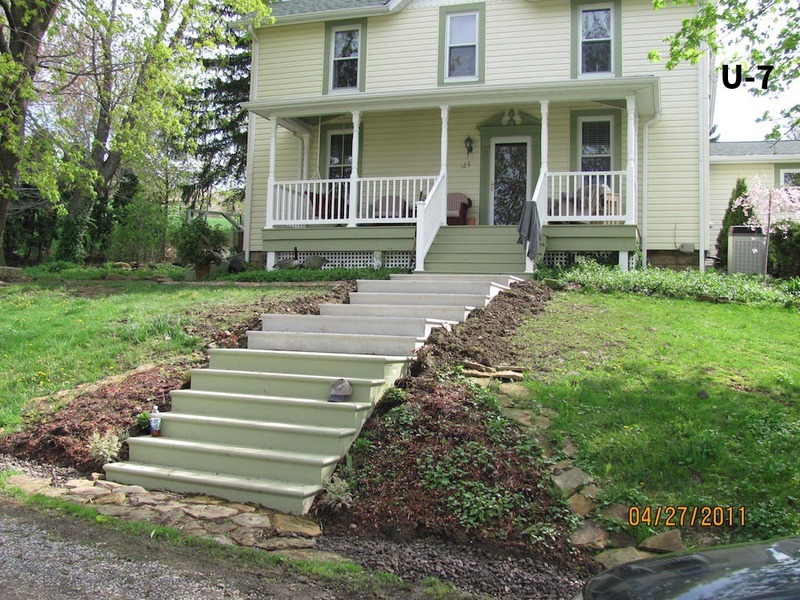 Every step has a non-slip safety tread that covers the full width of each step plus the entire deck area. 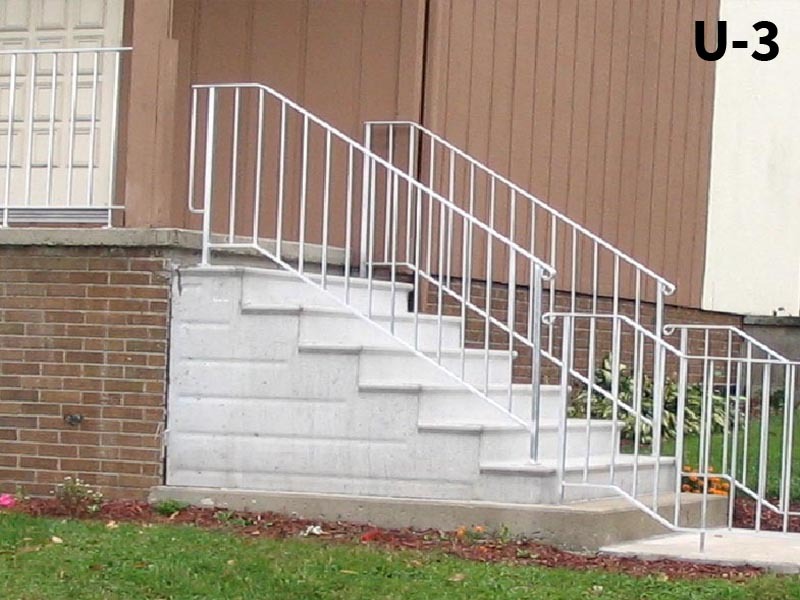 All Unit Steps have specially designed anchors cast in the concretefor securely mounting your railings. 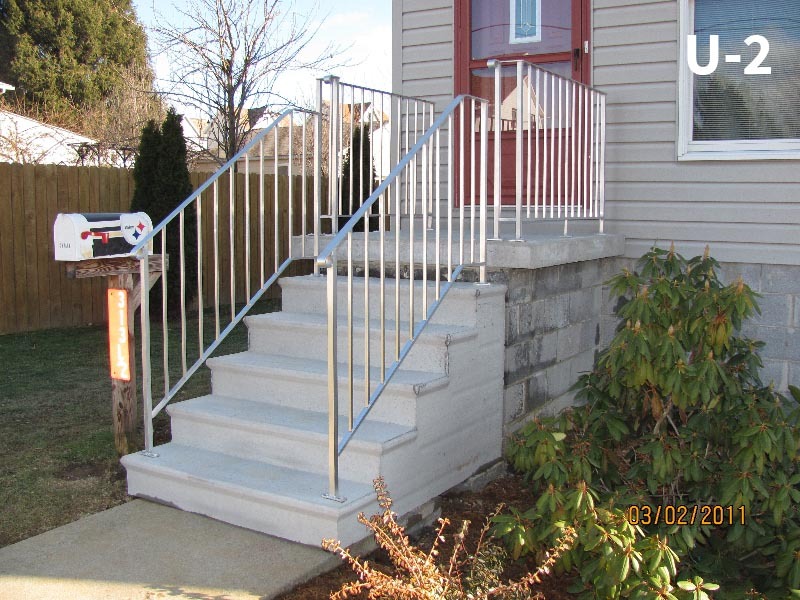 You may order your step with Hampton Concrete's ornamental railings attached. See more information about our railing solutions. Unit Steps are hollow but strong! Call us today for a free estimate. 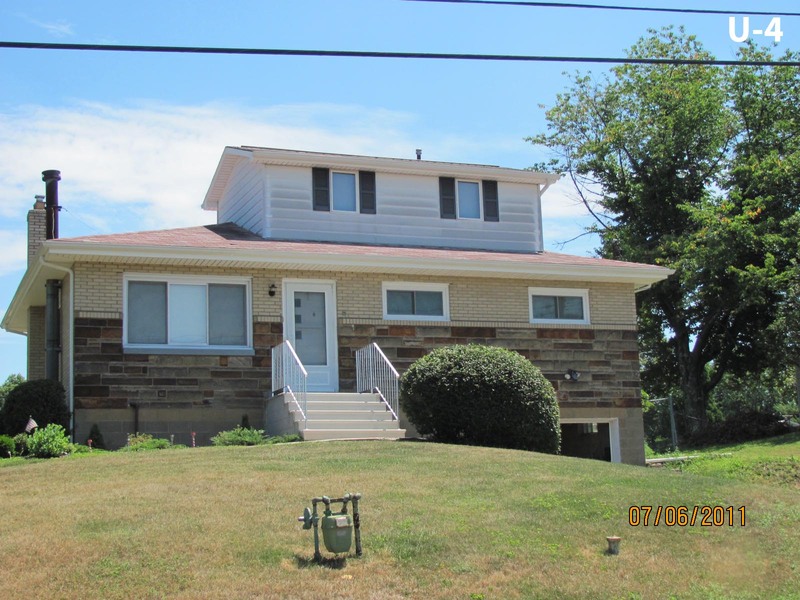 Compare prices and quality and see why since 1939 more people have chosen Unit Steps. Salt, de-icers or icemelt WILL ruin your concrete! We recommend you clear your steps of snow and ice and sprinkle them with an anti-skid such as sand. It really works and doesn't hurt your concrete. 1 7 1/2" 13" 30" 42" 60"
2 14 1/2" 24" 41" 53" 70"
3 21 3/4" 35" 52" 64" 81"
4 29" 46" 63" 75" 92"
5 36 1/4" 57" 74" 86" 103"
6 43 1/2" 68" 85" 97" 114"
In addition to the charges above, an $86.00 Installation fee per unit plus local delivery charge may apply unless it is picked up locally.